A brief survey of modern Pentecostal and Charismatic books on the practice of speaking in tongues. This is an addendum to The Gift of Tongues Project whose focus is to trace the evolution of the doctrine tongues from inception until now. The Gift of Tongues Project started with pentecostal literature and pentecostal historical assumptions. Once I started reading the ancient texts, it forced to abandon such pretexts and let the ancient writers speak for themselves. 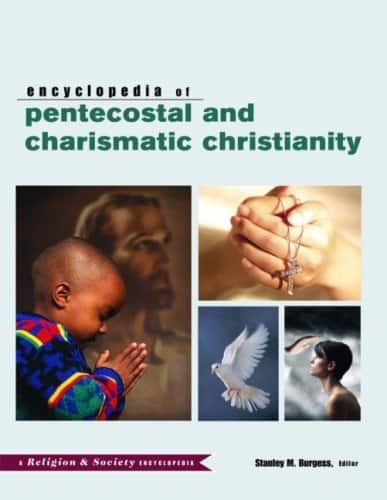 Here is a partial list and commentary of pentecostal and charismatic publications and authors pertinent to the history of the pentecostal doctrine of tongues. Some are only available in print, while others have made their way online. This is in no way exhaustive, and many more can be added. They Speak with Other Tongues. 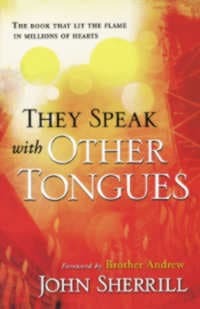 John Sherril’s publication, “They Speak with Other Tongues,” is the top selling book from the Pentecostal perspective. First published in 1964, the writeup at Amazon claims over 2.5 million copies have been purchased. The book is not a theological treatise, but written from an investigative journalist perspective, starting from a sceptical point of view, and then finishing as a convert to contemporary tongues speaking. The strength in the book is its narrative. It is so smooth and personal throughout, and contains an element of mystery that forces the reader to continue reading until it is resolved. It is a masterpiece from a literary perspective, but weak in the history and logical background. This book gave legitimacy to the growing pentecostal, and birthing charismatic movements. Even though it is over 51 years old, the popularity has not been surpassed by any later pentecostal or charismatic writer. The next book goes to a non-Pentecostal scholar who is both sympathetic and critical with the Pentecostal experience, James Dunn. He is well-known and respected in the academic theological world, and popular within the greater Protestant realm. 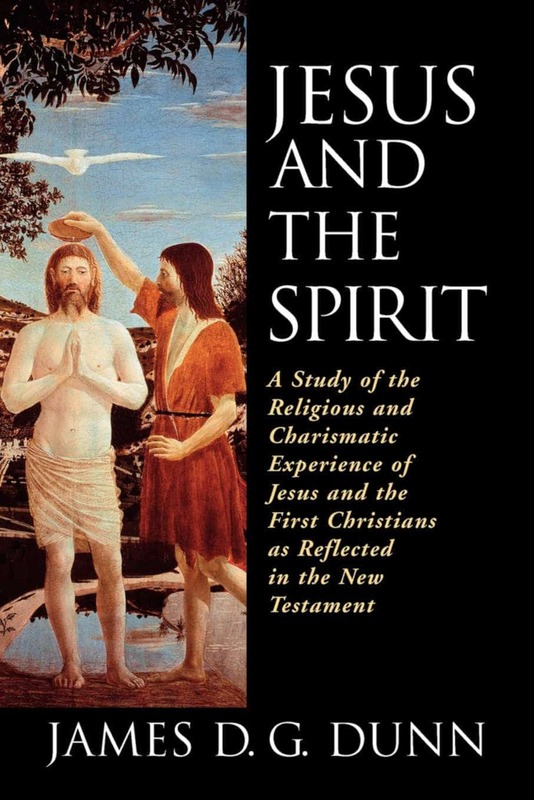 His 1974 book, “Jesus and the Spirit,” gave an external third-party legitimization to Pentecostal practice. This may have been the point when Pentecostalism was allowed into the mainstream of the evangelical movement. He draws from classical Greek sources, not Ecclesiastical ones to draw his conclusions, which falls more in line with the Pentecostal experience. The Hidden Power of Speaking in Tongues. 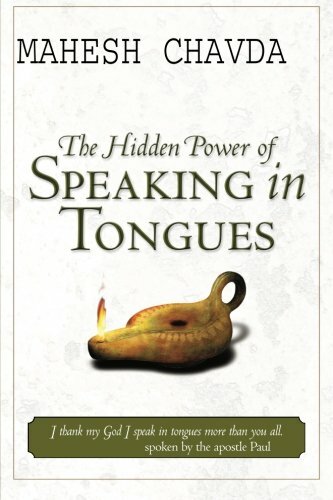 The recently published, “The Hidden Power of Speaking in Tongues,” by Mahesh Chavda, a pastor whose bio says his TV ministry reaches a billion households globally, and that he and his wife are responsible for over one million conversions,1 is a terribly written book that appears self-serving, lacking theological focus, and creates more problems than solutions. I never finished reading it. A History of Speaking in Tongues and Related Gifts. The academic work, “A History of Speaking in Tongues and Related Gifts,” by George H. Williams, and Edith Waldgovel, is built into the psyche of pentecostal intellectual thought. It is the only well-known piece from a contemporary mystical perspective that seriously attempts to reconcile the ancient writings with the modern experience. They produced a convincing reference – much better than any of its predecessors. However, it fails on two crucial points. First of all the two authors restrict their historical exegesis on already available English translations of the Church Fathers. This is seriously problematic because less than 20% of historical Church literature has been translated into English. Secondly, they build their conclusions on what the dominant Greek Dictionaries and Commentaries conclude, which purposely neglected the ancient Church writers because they believed they were not trustworthy. They felt that classical Greek writers were more dependable. This changes the definition of tongues substantially. This goes into a different realm and both their article, and the greater problems they faced are covered in detail in one of the following series of articles called The History of Glossolalia, specifically Patristic Literature on Tongues as an Ecstatic Utterance. Charisma Magazine, on the other hand, doesn’t even think that there is any historical incompatibility. What Pentecostals and Charismatics do today is assumed to be consistent with the Biblical record without question. Charisma Magazine has a circulation of about 275,000 readers and is highly influential in the pentecostal and charismatic realm.2 In the article 5 Things You Need to Know About Speaking in Tongues the author, Brian Alarid, lead pastor of Passion Church in Albuquerque, New Mexico and area coordinator with the Billy Graham Association, writes that “The gift of tongues is a known or heavenly language unknown to the speaker that enables him or her to communicate directly with God.” His statement is full of assumptions based on an ignorance of historic christian literature and tongues movements over 2000 years. Pentecostal Experience: Towards a Reconstructive Theology of Glossolalia. Rev. Heidi Baker wrote her PhD thesis on the pentecostal perspective of speaking in tongues. Pentecostal Experience: Towards a Reconstructive Theology of Glossolalia collects and analyzes a large library of pentecostal thought to build a constructive framework for speaking in tongues. She succeeds and this thesis is one of the most formative works on building a pentecostal systematic theology. Her coverage of pentecostal thought after the 1900s is very detailed and helpful. Anything by the following Pentecostal scholars, Stanley Burgess, Vinson Synan or Gary B. McGee, are well researched and substantiated works. Gary B. McGee’s small publication for the Overseas Ministries Study Center, “Shortcut to Language Preparation?” covers the old Pentecostal tension between divine inspiration of tongues, or the regular route of language study, is a seminal work. Vinyan has written copiously on pentecostal subjects. His 1999 article printed in Christianity Today, “The Second Comers,” first caught my attention, and saw his name tagged in the “Encyclopedia of Pentecostal and Charismatic Christianity,” which in itself is a grand work worth mentioning. These scholars and the Encyclopedia shows that the Pentecostal brand of Christianity has matured and willing to deal honestly with its own history, even if it is different from today’s expressions. Under “The Pentecostal Three” section, Vinson Synan is the historian’s name, not Synson Vinyan. Other important works are “Speaking in Tongues: Jesus and the Apostolic Church as Models for the Church Today” by Robert Menzies; and “Pentecostal Experience” by Peter Neumann (both academic books). Thank you for these book recommendations. They look very interesting. Another thanks for noting the typo with Vinson’s name. This has been corrected.